There is so much thought and planning that goes into every part of a wedding, and there’s no doubt you will get an applause from your guests for the time you’ve put in to make it memorable. 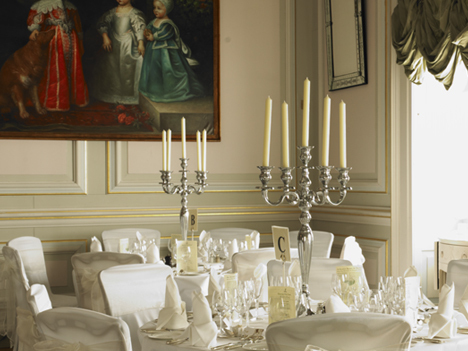 However, it’s the personal touches and details that really make it your perfect day. Wedding Chair Covers have become a necessity in transforming your chosen wedding venue, with dozens of colours and styles to choose from to enhance your theme, you have the ability to create the design you really desire. Accessories are a great and unique way to add elegance and sophistication to your reception whether it be a simple flower or a bit of bling! 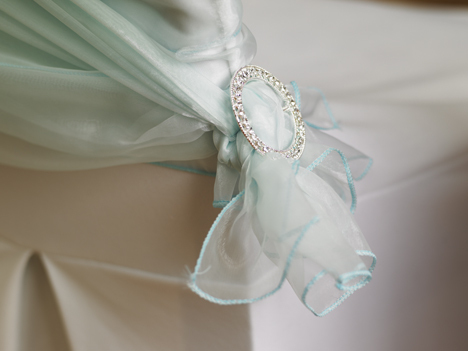 Sweetly Seated offer a beautiful selection of organza sashes, which can be accompanied with a choice of flowers, whether it be just one or a small bunch on the back of the chair, adding a real romantic feel to the venue. Other alternative looks include glitzy diamante buckles which can be added to the chair creating a complete look of glamour. 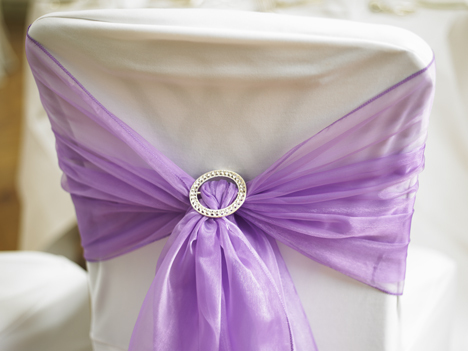 What ever theme you are going for, the Sweetly Seated team are here to listen and design the perfect wedding chair covers for your ultimate day. To discuss your idea’s with us please contact us now for a free consultation using the quick enquiry form on the right hand side.